With the explosion of computer games into the mainstream, gamers have been enjoying the benefits of gamer-specific hardware for quite some time now. Not all gaming peripherals are the same, although all of them tout that you will end up as a better gamer the moment you purchase their product. It is the same with the new OCZ Equalizer Laser Mouse which tackles the gaming arena with a bunch of unique features and high performance engine to provide you with that extra edge. 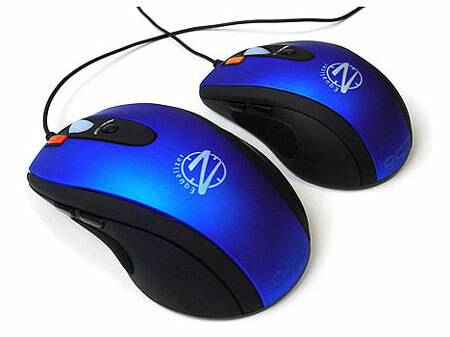 What makes the OCZ Equalizer Lazer Mouse different from the rest of the competition? For starters, it features half a dozen sensitivity levels which range from a lowly 400dpi to a whooping 2,500dpi that can be changed at the touch of a button. This means you can switch the sensitivity in the midst of a game when the situation calls for it. Of course, the high 2,500dpi level will definitely benefit those who dabble in First Person Shooter titles most. Another unique selling point is, while other mice might come with a special button to simulate two clicks at a touch, the Equalizer Lazer Mouse goes one up by offering a “Triple Threat” mode which fires up to three shots with a single click, giving you a definite edge over your floundering opponents. Under the normal operating environment, the button will just offer double-click operations. Of course, all those features will come to naught if the mouse itself is not ergonomic and easy on the hand. The Equalizer does not falter in this department, featuring a comfortable, no-slip grip that fits into one’s hand nicely. Choose from the Desktop and Mobile models, depending on your preferred gaming platform of choice. There is no word on pricing details as at press time. The “Triple Threat” mode that targets three shots with a single click is really amazing and can be seen as its strength to stand against its competitors.